"The Saint Sever Bridge" by Pissarro, North Carolina Museum of Art. The title of this work is "The Saint Sever Bridge, Rouen: Fog." 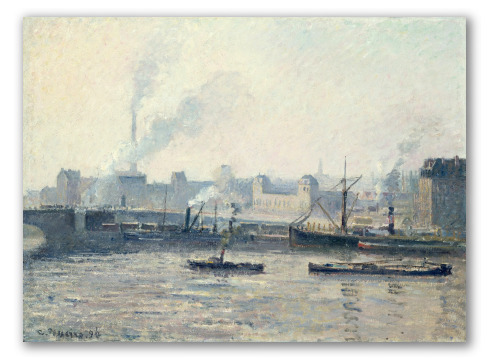 It was painted in 1896 by Camille Pissarro. This work depicts a frigid, cloudy landscape situated on the River Adur, near the village of Ruan in France. Two small boats are seen in the forefront. 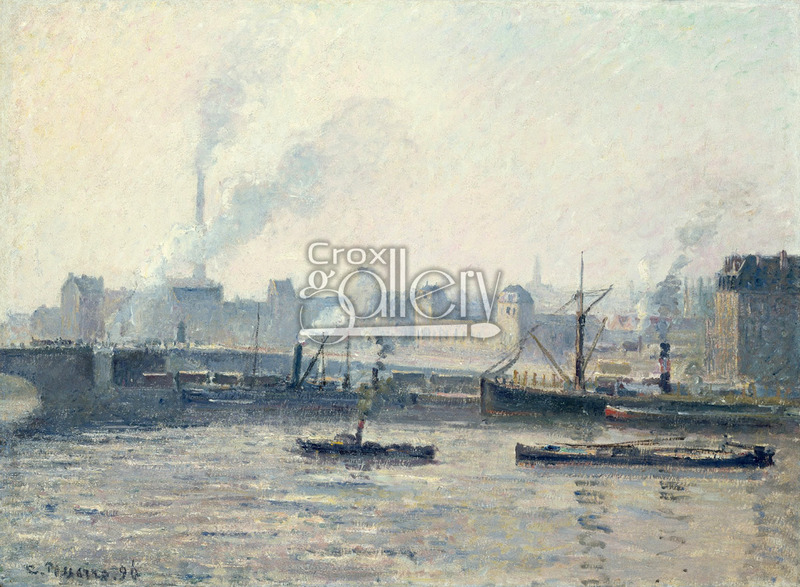 The smoking chimneys of the boats and factories determine the composition, breaking the canvas into different angles and giving it movement. The coloration of the work is almost monochromatic, except for a few dots of color. "The Saint Sever Bridge, Rouen: Fog" is currently displayed in the North Carolina Museum of Art, United States. Original size: 60,3 x 87 cm.